Our lives are full of things we hate doing but have no choice about. From school to work, the chores rarely end. When your days get busy and seem overwhelming, it’s all too easy to envy your dog. They get to sit at home all day. The biggest worry on their minds is who’s going to let them out and when they’ll get dinner. It’s a dog’s life and all that! In truth, though, dogs have to do things they don’t want to as well. Worse, they don’t have our resigned attitude towards such activities. Any dog owner will tell you that there are some things no dog will suffer in silence. We’re going to look at the three main ones, and how to make each more bearable for your pooch. From early in their life, your pup is going to suffer through vaccinations. This is something as humans we can understand. We have our fair share of vaccinations, too. Obviously, a dog isn’t going to know when their booster shots are due. They won’t spend days fretting about them. But, they often have a sixth sense when the vets are on the cards. Or, do they? Remember that dogs pick up on body language. If your dog becomes distressed on the way to the vet, they may be sensing stress from you. It may be that there are certain things you only do when taking them to the vet. For example, it may be the only time they ride in the car. The best way to make the experience as painless as possible is to act normal. Don’t make a big thing of it and your dog won’t either. Instead of driving them, take them for a walk and stop at the vet on your way home. All dog owners want the best for their dogs. That’s why we look out for the best dog flea treatment we can find. Anything to stop your pooch suffering an unpleasant infestation! The same applies for deworming tablets. Yet, our dogs often do anything possible to avoid the application of such treatments. You may try to hide their deworming tablet in their food, but they’ll eat all around it. And, they’ll run the moment they see that defleaing applicator. So, you have to outsmart your dog. Try to give them their dewormer in a different guise each time. Wrapping it in ham or cheese is always a good bet. Feed your dog by hand to make sure they take it! With defleaing, keep the applicator by your side and catch them when they’re relaxing! 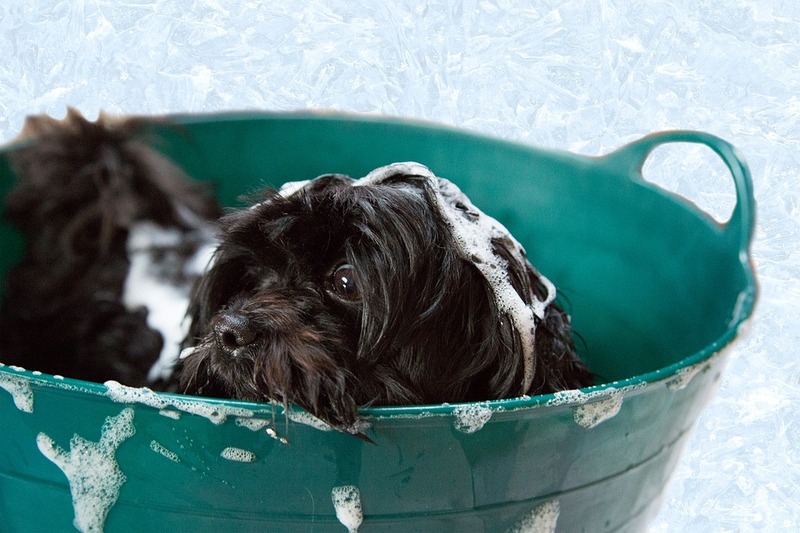 Whether it’s your dog’s first bath, or their fiftieth, they’re sure to kick up a stink. And, there’s no chance of being subtle here. The best thing you can do is get them used to water. Encourage them to swim when you’re out for walks. Put them in the bathtub when it’s empty. With a bit of practice, they’ll realize there’s nothing to be afraid of. What else have you noticed that your dog has a tendency to dislike or stress over. Share what you do to help them overcome their fear.